Nice view from the top of midtown and defiantly cheaper than buying direct! While many have dreamed, there is no faster way to make it to the top in New York than an elevator ride. 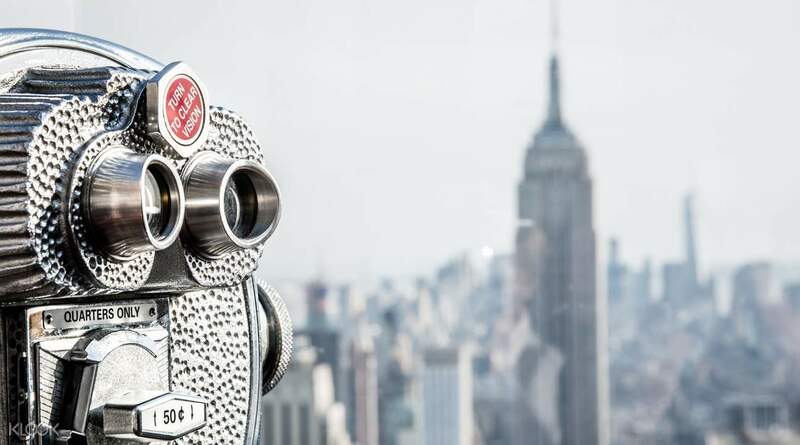 The 360° observation deck at the peak of the Rockfeller Center has been standing since 1939 and to date, showcases the city's spectacular skyline. It is guaranteed to make your trip a memorable one. 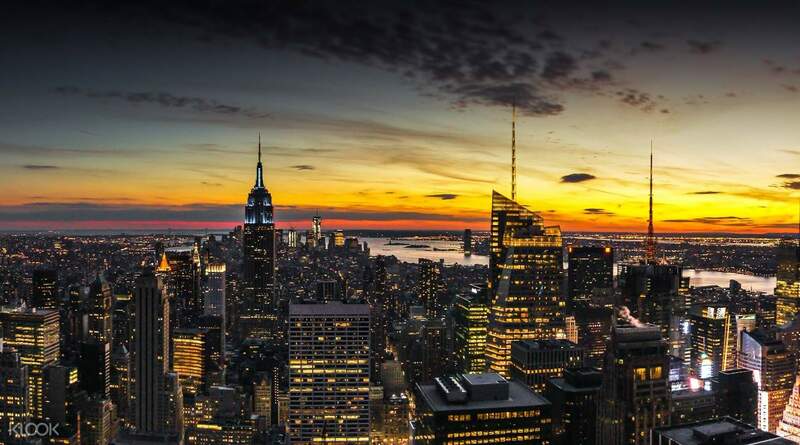 With an open-air viewing deck on the 70th floor, you will be overlooking the landmarks that make New York one of the most distinctive cities in the world, from the Brooklyn Bridge to the Statue of Liberty and the Chrysler Building to Central Park. 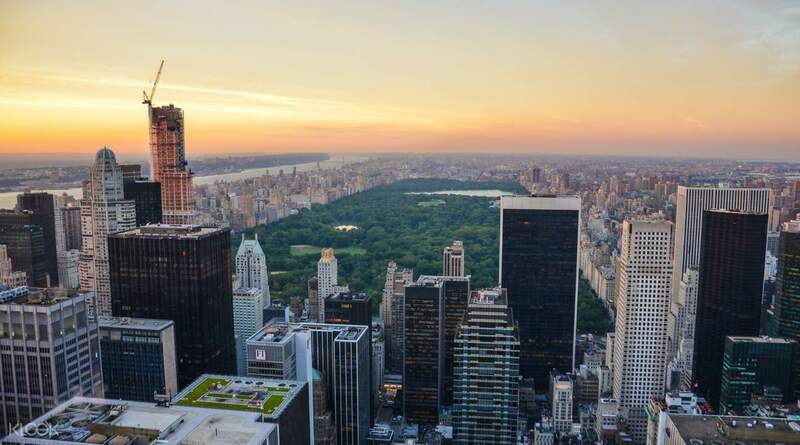 At the end of your tour up the building, wind down by dining, shopping, and sightseeing at the endless shops and eateries around the midtown area. This is definitely one of the must see in NYC. It lets you see the 360 view of the big city. Get a discounted ticket here in Klook! Have your voucher replaced with a physical ticket and wait for your scheduled time to go up the top of the rock. This is definitely one of the must see in NYC. It lets you see the 360 view of the big city. Get a discounted ticket here in Klook! Have your voucher replaced with a physical ticket and wait for your scheduled time to go up the top of the rock. Better if you go during daylight to enjoy the scnery and beauty of new york. Though you woukd see the beautiful light of each building in the evening but you may not see some parts because of darkness. Better if you go during daylight to enjoy the scnery and beauty of new york. Though you woukd see the beautiful light of each building in the evening but you may not see some parts because of darkness. One of the highlight of NYC trip. Klook voucher was very helpful. I also like that the Klook voucher has no time so you can choose on the day that you go. Be sure to check the weather and go right before the sunset. One of the highlight of NYC trip. Klook voucher was very helpful. I also like that the Klook voucher has no time so you can choose on the day that you go. Be sure to check the weather and go right before the sunset. I did at day time. Gives best views of the city. I wish I could have done at night. They sell maps at the ground floor for information about building viewed. There is no information at the top. I did not purchase. Did not feel so much need for it. I did at day time. Gives best views of the city. I wish I could have done at night. They sell maps at the ground floor for information about building viewed. There is no information at the top. I did not purchase. Did not feel so much need for it. Going at top there are different floors to view outside. 1st floor you can see it from window 2nd floor you can see it from open terrace but a glass wall 3rd floor you can see it totally open terrace. try and go in foggy weather it will make your visit ultimate. Going at top there are different floors to view outside. 1st floor you can see it from window 2nd floor you can see it from open terrace but a glass wall 3rd floor you can see it totally open terrace. try and go in foggy weather it will make your visit ultimate. it was an amazing experience that i was at New York City. it was an amazing experience that i was at New York City. Q: Can I pick up the ticket in advance? A: Physical ticket is not required/ Please present your voucher on the day of your visit and go in directly. Q: Is it possible to visit the ticketing counter and choose the time that I would like to enter in advance? A: Yes. If you would like to visit at a specific time, you may go to the ticket counter in advance and redeem your tickets for that time slot.